Back when I was in college, I had an idea for a campaign for Structure brand clothing. The ad would depict men wearing only Structure boxer briefs in various situations: in a bar, in a boardroom, etc. Structure was a brand of Express. It was a spin-off, and later, was spun back in. Which is sad, because I thought that copy was terrific. On the other hand, I think Express lends itself to a great campaign. I’d probably make one or two others. Certainly an “Express: Your Work” depicting a guy in business attire. Or a woman. Express is not an exclusively male brand. 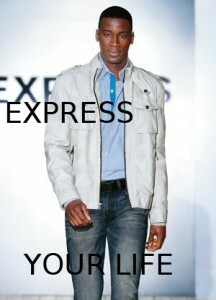 Pitch: Express is not merely a clothing company, nor an apparel company. 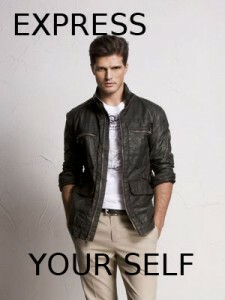 If clothes make the man, Express is the clothing that man can wear, for confidence and style, in any situation.